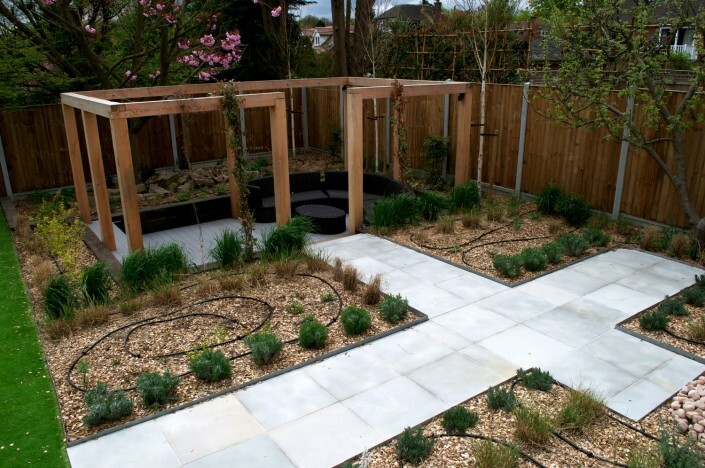 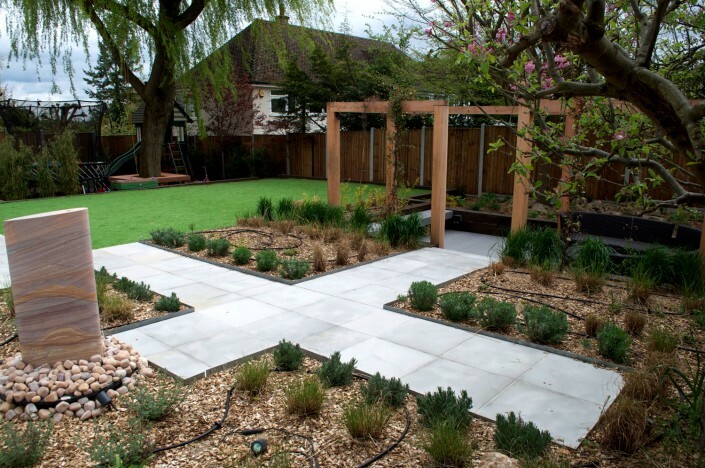 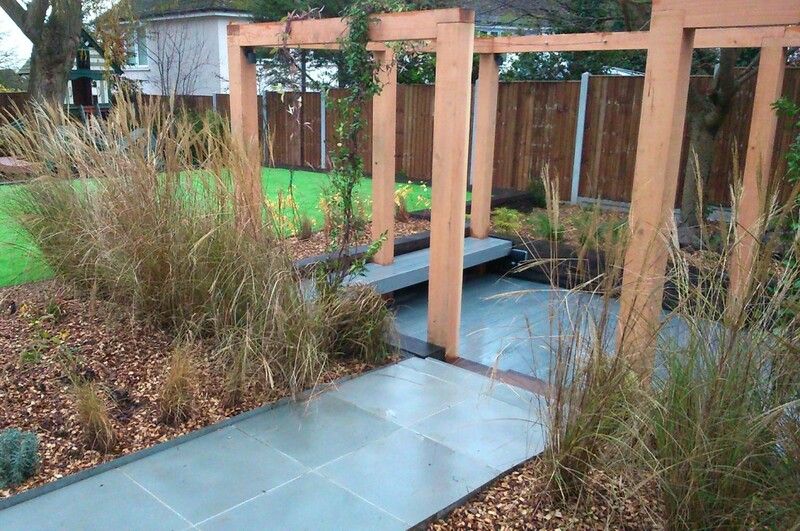 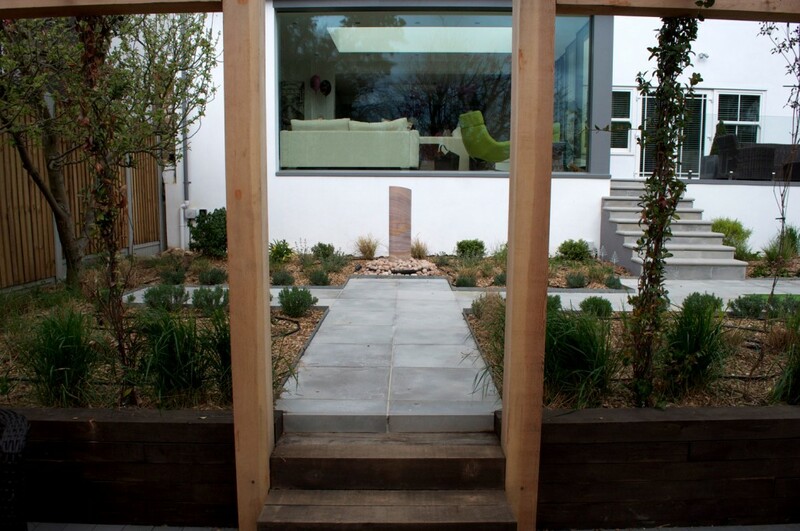 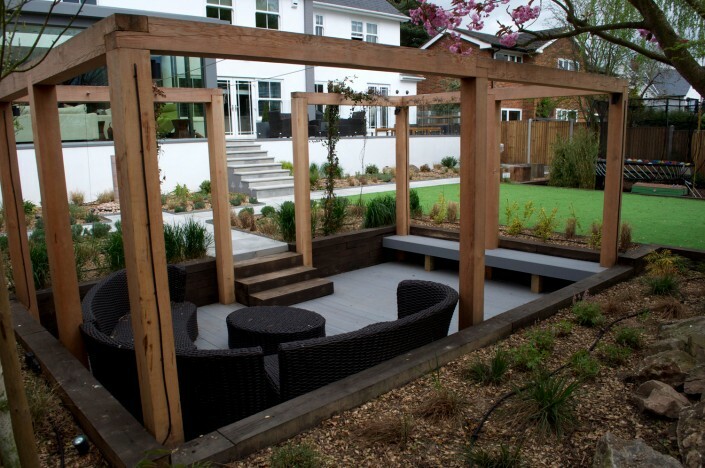 Large garden landscaping projects by Landspace Design incl. modern, contemporary, low maintenance etc. 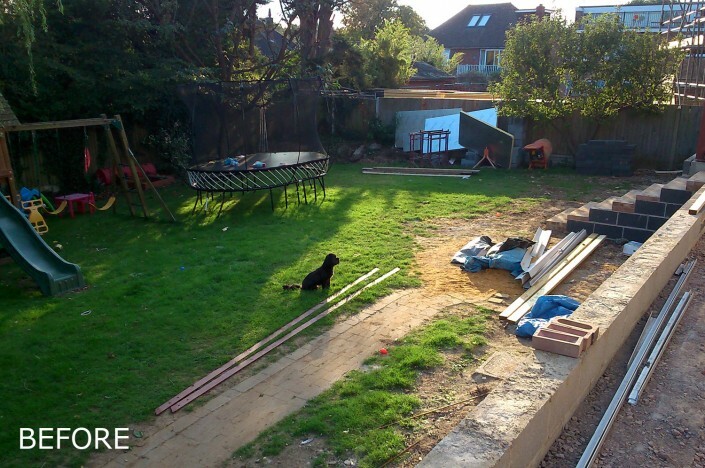 This Leighton customer had been let down by their previous landscape gardener so Landspace Design were brought in to rescue the situation. A new design was agreed which would complement the modern style of the house and also lend itself to being viewed from a new glass ‘pod’ room which had recently been added to the rear of the property. 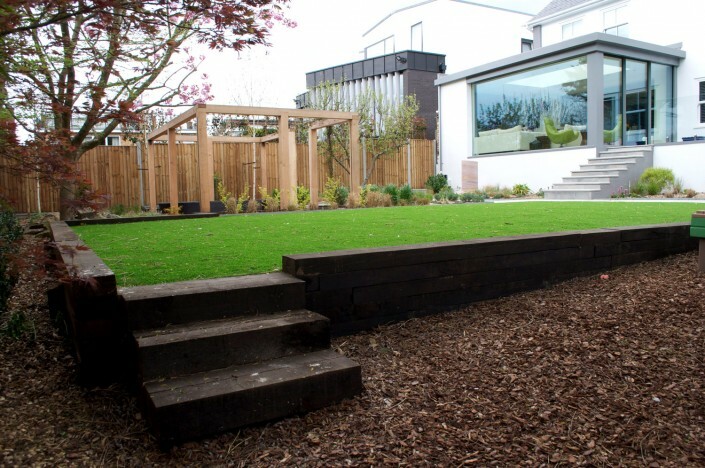 From there we erected steps leading from a terrace down to the main garden where we constructed a path leading to a modern parterre style garden with perennial planting. 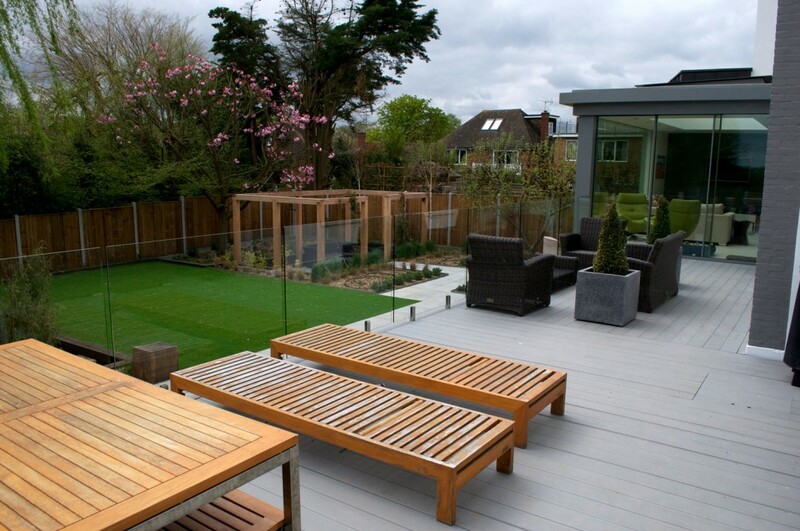 A sunken deck area was built in, with stained oak sleepers and a modern pergola structure to give height and privacy as well as to lend itself to climbing plants come the summer months. 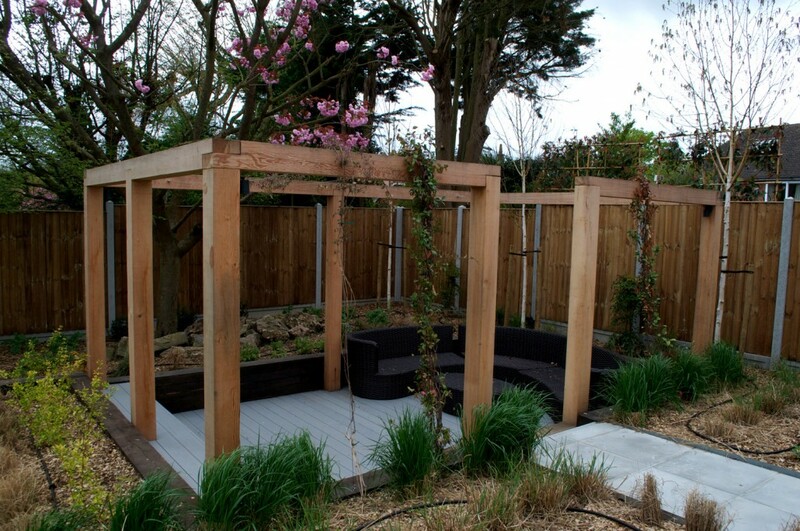 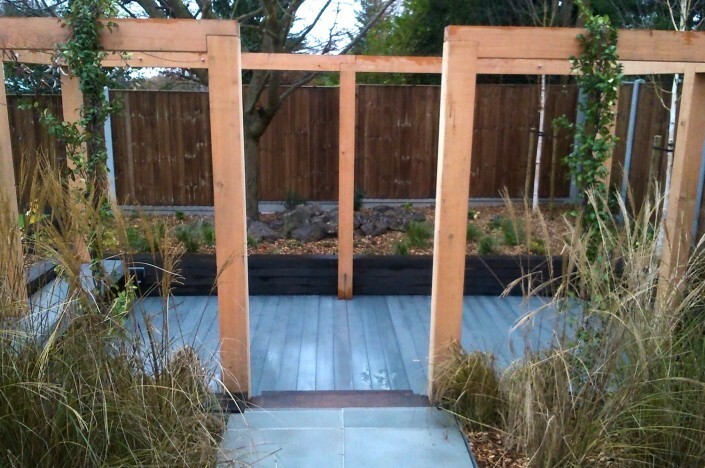 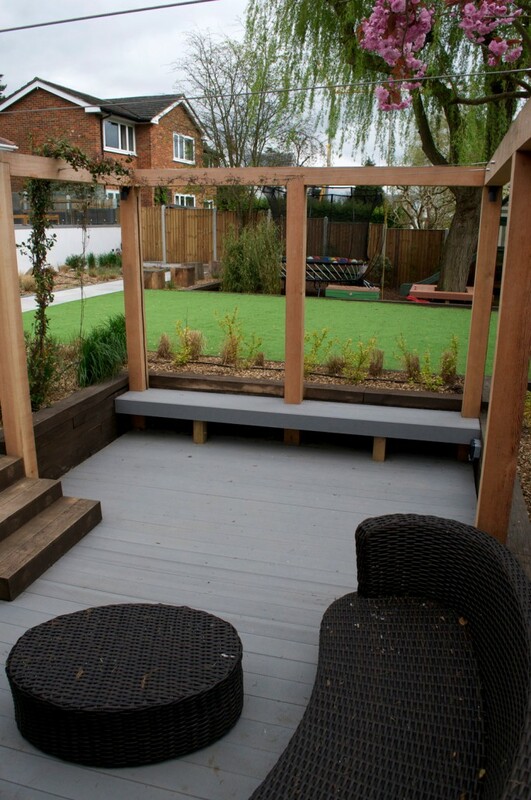 Elsewhere in the garden we combined new and existing equipment for a play area which included a repositioned trampoline, a tree seat and bamboo area to allow seclusion and an element of magic. 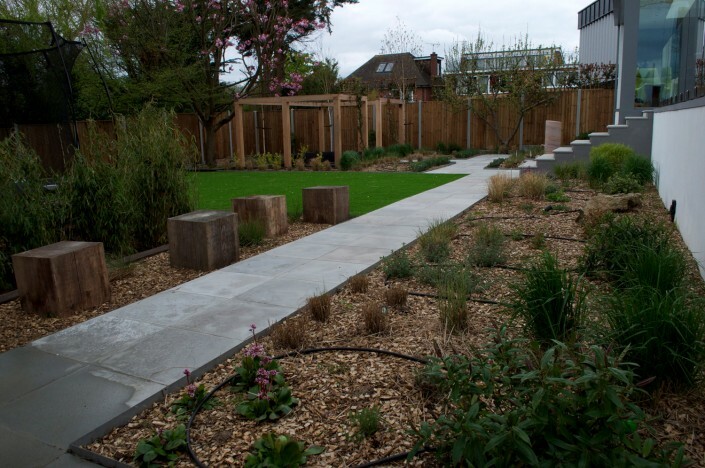 The garden also incorporated full lighting and irrigation systems. 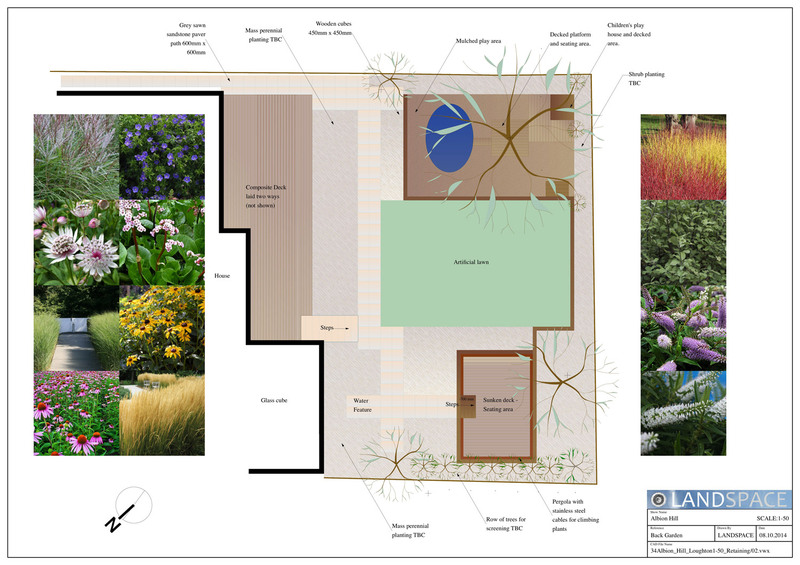 Learn more about this large-sized garden project by clicking here.